Rafael Eitan (1926-2019) was born in a kibbutz to Jewish-Russian immigrants that settled in the Holy Land three years earlier. He studied at an agricultural school, as well as at the London School of Economics. His first foray into the military came at just age 12 when he joined the Haganah to defend his kibbutz from Arab attacks. Upon graduating from high school, Eitan was promoted to the Palmach, the Haganah’s special forces. He was part of a team that worked tirelessly to bring Jewish refugees and Holocaust survivors to Israel. In 1946, he participated in the raid on the Atlit detention centre, where the British held many “illegal” Jewish immigrants. In one famous mission, Eitan was tasked with destroying the British radar system on Mount Carmel, which they used to track ships carrying Jews. Eitan reached the radar undetected by climbing through sewer systems (earning him the nickname “Rafi the Stinker”) and successfully blew it up. He was later injured in a mine explosion and lost most of his hearing. Eitan was further wounded in Israel’s Independence War. Following this, he became an intelligence officer, first for Shin Bet, and then for Mossad. During this time, he planned, coordinated, and perfectly executed Operation Finale, the mission to capture Adolf Eichmann, then hiding in Argentina. Following this, Eitan was a secret agent in Europe, where his team captured weapons shipments from Germany to Egypt. In what is certainly his most infamous mission, Eitan visited the US Nuclear Materials and Equipment Corporation in 1968 disguised as a chemist. Shortly after, it was found that the lab was missing as much as 272 kilograms of highly enriched uranium. Despite many investigations, no evidence was found, and no charges could be laid, though many believe that Eitan secured the uranium for Israel’s nuclear program. (The incident is referred to as the “Apollo Affair”.) Eitan retired in 1972 and started a business raising tropical fish. He was asked by the Israeli government to return to work in 1978 to head a counter-terrorism group. During this time he helped plan Operation Opera in which Israel destroyed Saddam Hussein’s Osirak nuclear reactor. Meanwhile, Eitan worked closely with MI6 counter-terror, and helped them find and eliminate a number of high-profile IRA terrorists. (In response to this, the IRA put out a contract to have Eitan assassinated!) One of the counter-terrorism intelligence agents in Eitan’s portfolio was Jonathan Pollard, who was later exposed and arrested. Eitan was criticized for abandoning Pollard, and resigned over the incident (though he maintains he had an escape plan for Pollard that the spy didn’t follow). 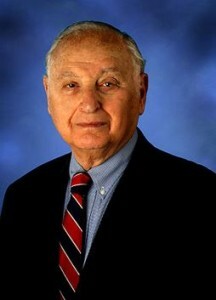 Eitan later ran the Israel Chemicals Corporation until retiring at age 67. Eitan wasn’t done yet. He partnered with a few others to start a business in Cuba. The firm, BM Group, has grown to become an important developer in the country, and has built Havana’s World Trade Center and its Holocaust Memorial. After its success on agricultural projects in Cuba (winning it a medal from the Cuban government), BM has spread across Latin America. In 2006, Eitan was asked to run for Knesset under the Gil Pensioner’s party and, despite projections, won a whopping 7 seats. He served as a parliamentarian until 2009, at which point (being 83 years old) he retired for good. Eitan continued to advise his and other governments, and spent much of his time sculpting (he produced over 100 pieces). Sadly, the renowned spymaster passed away last week. It’s in the Muslim consciousness that the land first belonged to the Jews. It doesn’t matter if the Jews were exiled 500 years or 2000 years, the Holy Land, as mentioned in Quran belongs to Moses and his people, the Jews. This entry was posted in Law, Politics & Military and tagged Apollo Affair, BM Group, Counter-Terrorism, Cuba, Haganah, Intelligence Officer, Israelis, Jonathan Pollard, London School of Economics, MI6, Mossad, Operation Finale, Operation Opera, Palmach, Russian Jews, Shin Bet, spy, Uranium on March 27, 2019 by Jew of the Week. Yehuda Haffner (1928-2015) was born in Manchester, England to an Orthodox Jewish family. From a young age he was involved with Bnei Akiva, a religious-Zionist organization founded a year after Haffner was born (and now the world’s largest religious-Zionist youth movement). He would later serve as its national director, too. After high school, Haffner moved to Israel, taking on the more Hebrew-sounding last name of Avner. Shortly after that, he fought in Israel’s War of Independence with the elite Palmach forces, defending Jerusalem during its difficult siege. Following the war, he helped to found the religious Kibbutz Lavi. In 1958, Avner joined the Israeli Foreign Service and worked for the Prime Minister’s office. For the next 25 years, he served as a speechwriter, secretary, and advisor to six prime ministers and presidents. He also became an important statesman and politician of his own, as an Israeli diplomat in Washington, as ambassador to the UK, Ireland, and Australia, and for his involvement in key operations such as Entebbe (to free Jewish hostages from a hijacked airplane in Uganda), and Operation Opera (to destroy Iraq’s nuclear capabilities). Interestingly, he also served as Israel’s unofficial liaison to the Lubavitcher Rebbe. Throughout his career, he never compromised his faith, proudly wearing his kippah wherever he went, and making sure to have kosher meals arranged at state dinners. In 2010, Avner published a highly-acclaimed memoir which has since been adapted into a documentary (voiced by Sandra Bullock, Michael Douglas, Cristoph Waltz, and Leonard Nimoy). He has been described as “one of the senior members of Israeli diplomacy”, “living Israel’s history”, and “Begin’s Shakespeare” for his beautiful speeches. Sadly, Avner passed away yesterday from complications due to cancer. 1. When an enemy of our people says he seeks to destroy us, believe him. 2. Stand tall in the knowledge that every tyrant in history who has ever sought our destruction has himself been destroyed. 6. Whenever a threat against a fellow Jew looms, do all in your power to come to his aid, whatever the sacrifice. 7. Never pause to wonder what others will think or say. 8. Be forever loyal to the historic truth that Israel is the nation state of the Jewish people and Jerusalem its eternal capital. 10. Build Jewish homes not by the accident of birth, but by the conviction of our eternal Torah. This entry was posted in Law, Politics & Military, Writers & Thinkers and tagged Advisor, Ambassador, Australia, Bnei Akiva, British Jews, England, Entebbe, Iraq, Ireland, Israeli Army, Israelis, Jerusalem, Kibbutz, Lubavitcher Rebbe, Manchester, Operation Opera, Orthodox Jews, Palmach, Religious Zionist, Secretary, Speechwriter, United Kingdom, War of Independence, Washington, Zionist on March 25, 2015 by Jew of the Week.